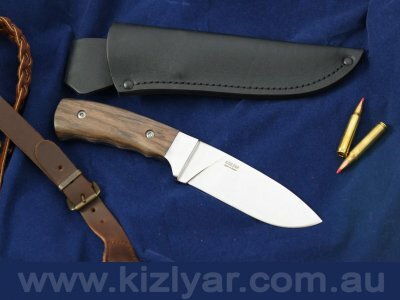 A utility knife designed in the more traditional form, primarily suited for processing small and medium game animals, food preparation and campsite tasks. 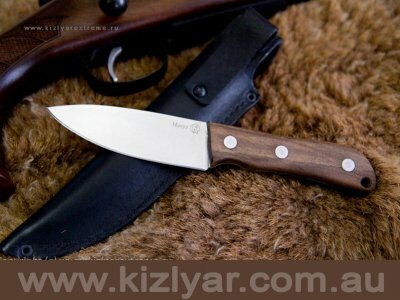 Handle slabs are crafted from resin impregnated Caucasian walnut and is securely riveted to the full tang of the knife. 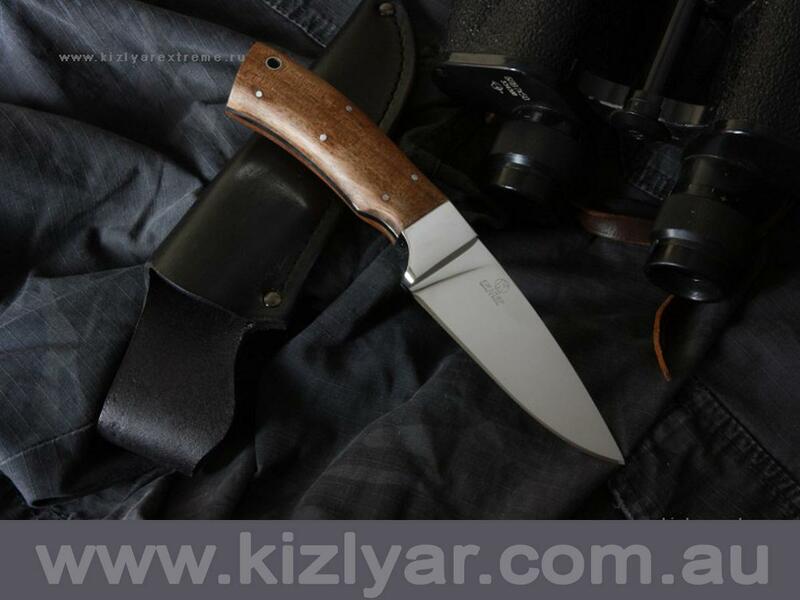 Bolsters and fittings are of bright, polished stainless steel, presenting the fit and finish of a finely crafted custom knife. The blade, sharpened like a straight razor and being of the hollow ground type, is also mirror polished to a highly reflective lustre. 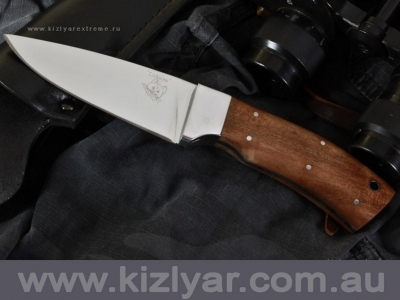 The whole package is completed with the inclusion of a bold and prominent image of a large Stag, laser engraved onto the blade. 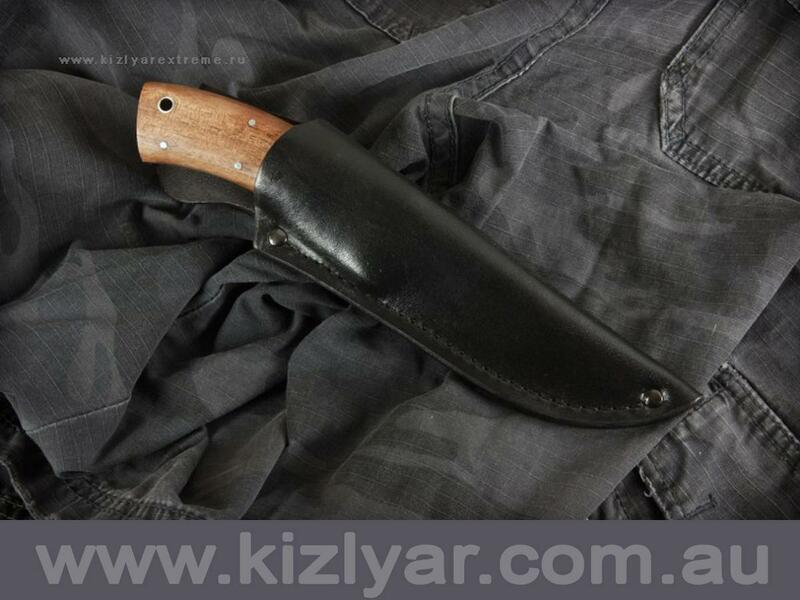 As with all Kizlyar knives, each one being delivered with a top quality sheath, this model is no exception, it is housed in a heavy, treated leather sheath.